Experience a region where wilderness comes neatly packaged in Pamplemousses District, where many of the attractions showcase the natural world in easily digestible portions. 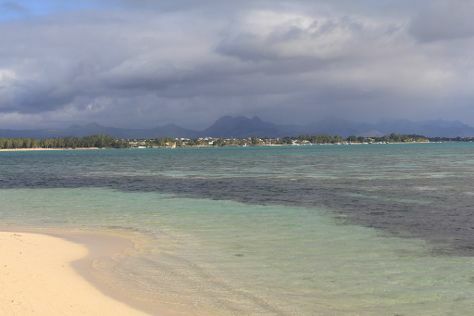 Relax by the water at Mont Choisy Beach and Gris Gris Beach. Venture out of the city with trips to Takamaka Boutique Winery (in Vacoas), Scuba & Snorkeling (in Belle Mare) and Grand Gaube Beach (in Grand Gaube). There's lots more to do: take in nature's colorful creations at SSR Botanic Garden, savor the flavors at Food & Drink, make a trip to Notre Dame Auxiliatrice, and take in the dramatic natural features at Seven Colored Earths. To see photos, traveler tips, and tourist information, use the Pamplemousses trip maker tool . If you are flying in from South Africa, the closest major airport is Sir Seewoosagur Ramgoolam International Airport. Expect a daytime high around 35°C in January, and nighttime lows around 28°C. On the 27th (Sun), you'll have the morning to explore before heading back home.